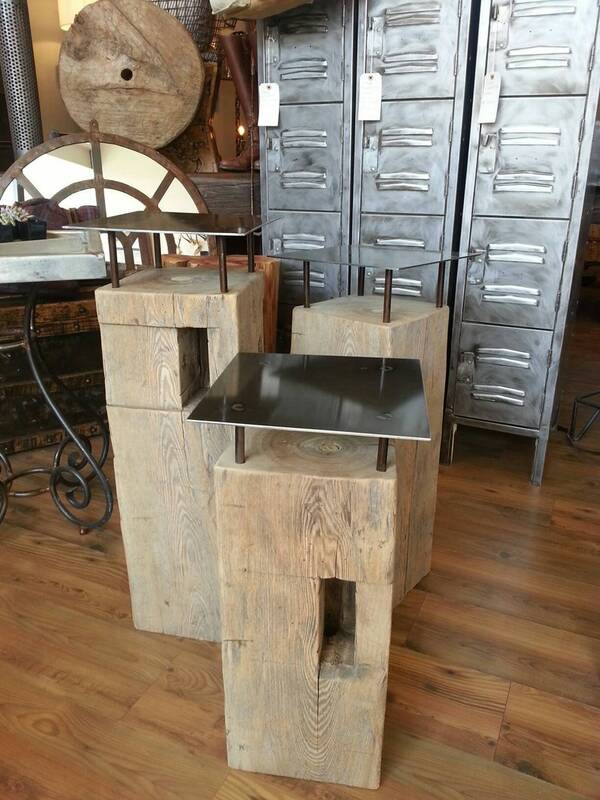 Reclaimed salvaged beam end table or stand. The beam itself is 10" square with a 12" square top. The heights are 32" , 29" & 24" . The price is for each table .